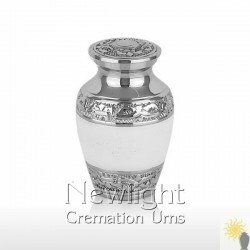 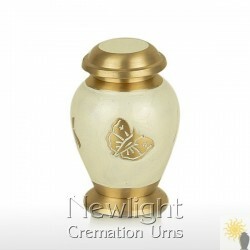 The Dog Rose mini urn is a very high quality solid cast aluminium ashes keepsake. 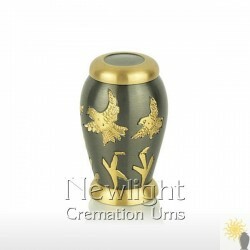 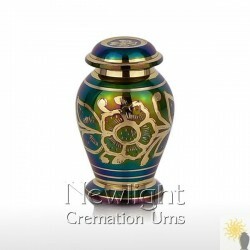 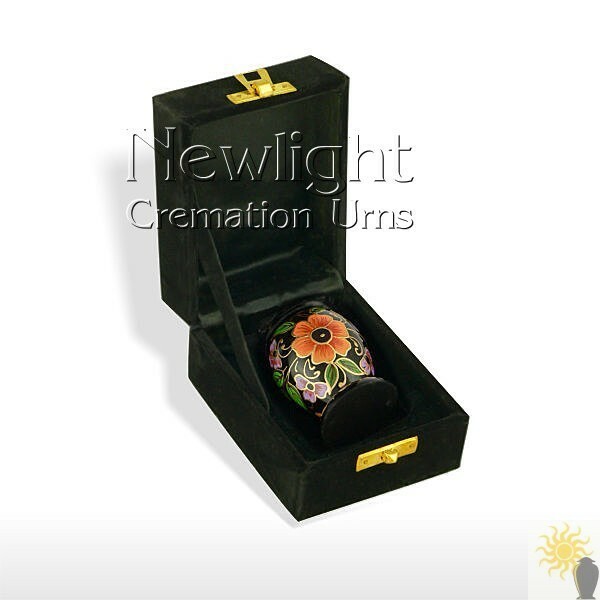 This keepsake urn has a black enamelled body and lid with beautiful hand painted flowers and leaves, it is designed to hold a small amount of the cremation ashes. 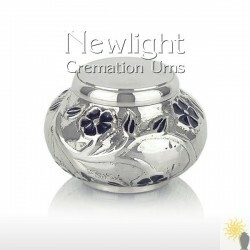 All our aluminium cremation keepsakes are made in the same way by artisan metalworkers with decades of experience. 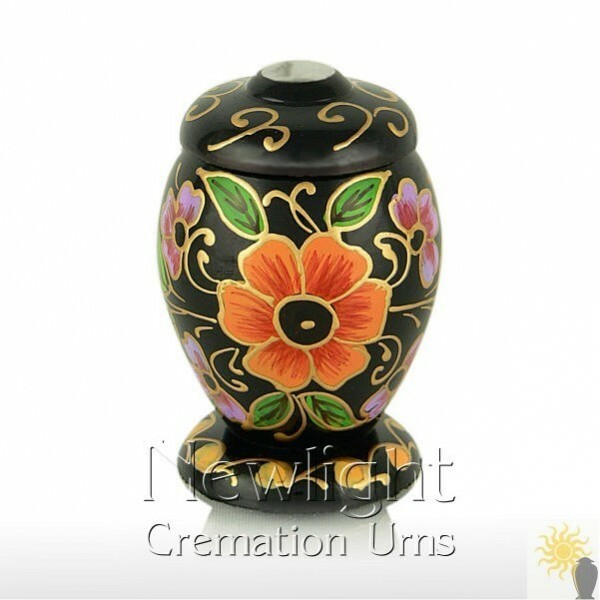 The sections are hand cast and seamlessly assembled, then a smooth surface, decorative bands and the thread for the lid is turned onto the keepsake. 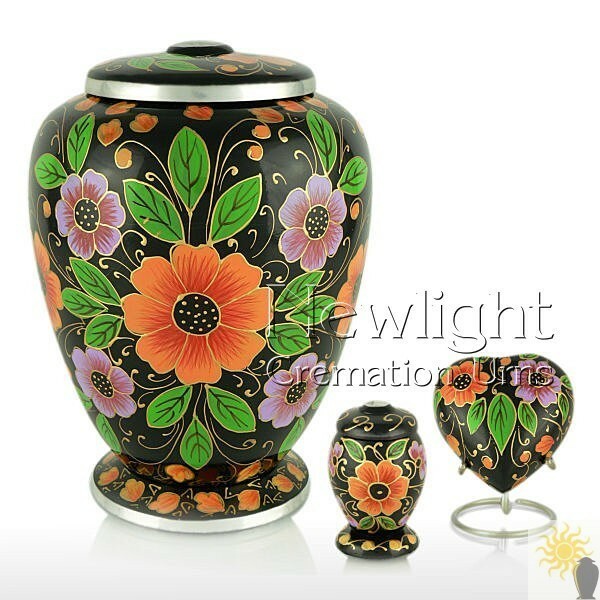 Finally many hours are spent applying the hand painting, enamelling or intricate hand engraving, that decorate our keepsakes. This method is time consuming but produces a far superior product and results in each one being subtly unique.